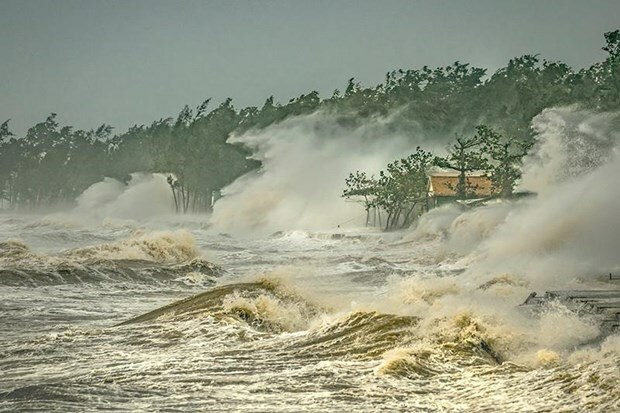 Hanoi (VNA) – A photo by Luong Thanh Hai of Vietnam’s meteorological and hydrological agency has won the first prize at a photo competition of the Typhoon Committee (TC). The photo contest, themed “Weather and Climate in Typhoon Committee Region”, drew participants from 14 countries and territories which are members of the TC. Previously, the winning photo “The house in the Storm” was selected from one of more than 1,000 works and won the photo contest themed “People and nature in the context of climate change for sustainable development” launched by the National Hydro-meteorological Service (NHS) under the Ministry of Natural Resources and Environment in collaboration with the Vietnam Pictorial of the Vietnam News Agency.